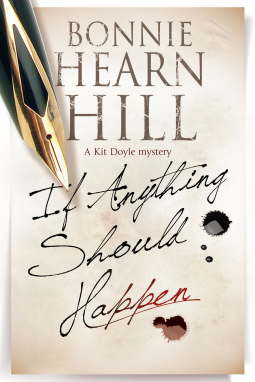 If Anything Should Happen is a cute introduction to a new mystery series. It didn’t really seem mystery-series-ish to me, but that could be because Hill is developing background and setting the scene. Two radio station friends lend each other emotional support through life’s ups and downs… And when Kit’s mom leaves a mysterious note that opens up a few cans of worms, her colleague is there for her every step of the way. The contents of the note thrust Kit into a decades-old, small town scandal that’s serious business. Someone has already died at the hands of a psycho, and he’s not afraid to do more damage.